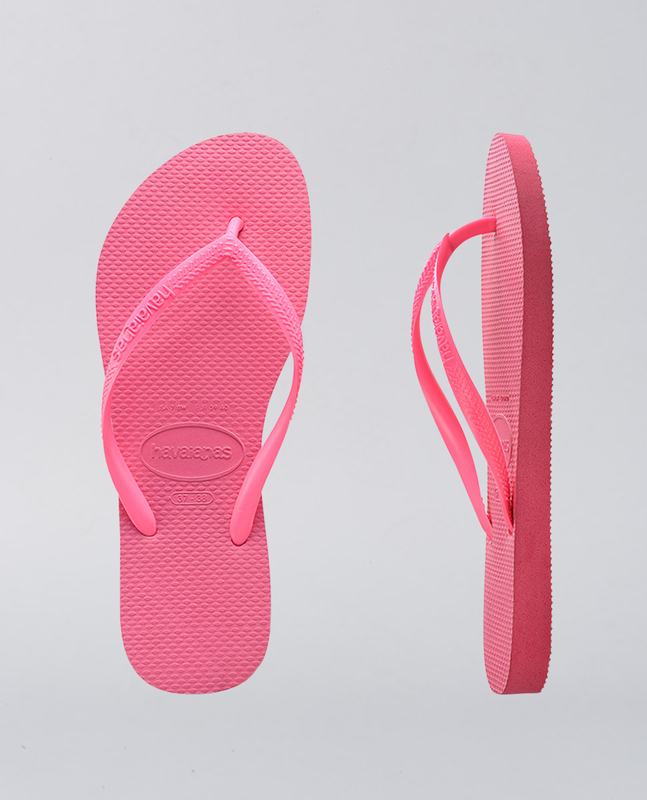 Havaianas Kids Slim Basic Shocking Pink/Shocking Pink Thongs. Colour yourself happy in slim basics. 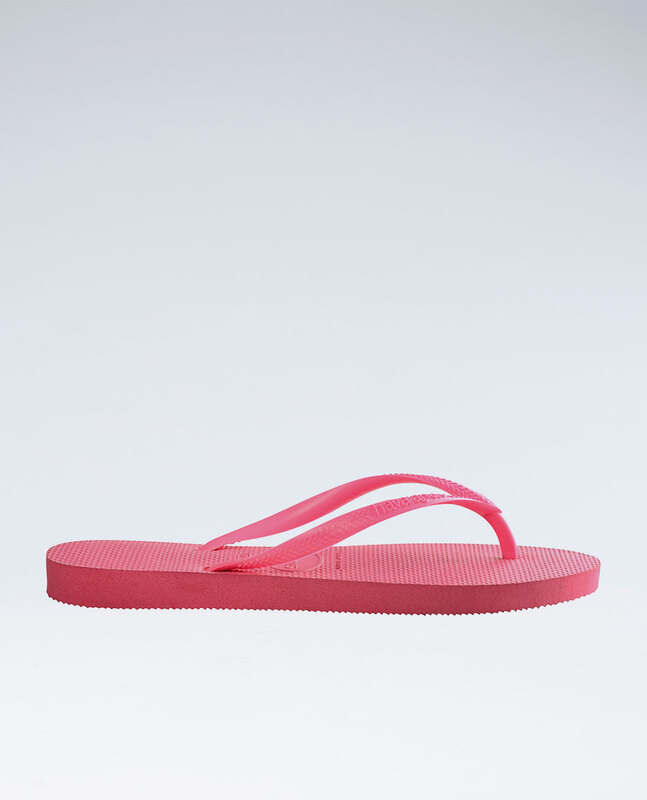 The Kids Slim features a slim shocking pink sole and a tonal Havaianas logo on pink straps attached to our signature foot bed.